Treat Endometriosis.. Have Pain Free Periods..
Endometriosis is a painful disorder of the uterus. In this disorder, a tissue, endometrium which normally present inside the uterus starts growing outside the uterus. 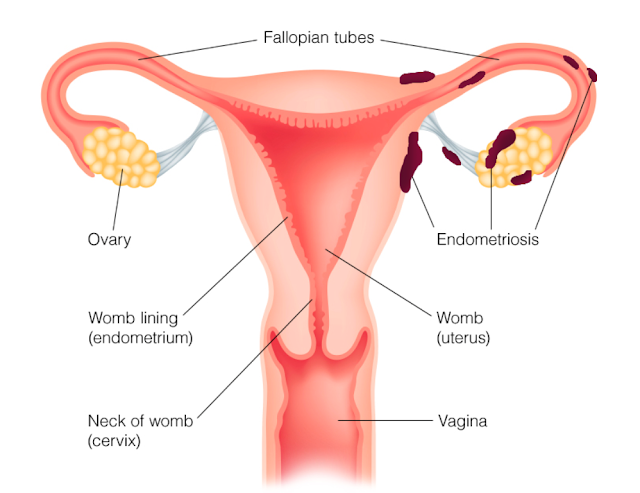 Endometriosis includes female ovaries, fallopian tubes and the tissues lining in the pelvis. In rare cases, endometrial tissue may grow beyond the pelvic organs. The endometrial tissue grows, thickens, breaks down and bleeds with every menstrual cycle. This displaced tissue has not have any path to exit from the body and eventually trapped in the body. Over the time, surrounding tissues can become irritated and develop scar tissues and adhesions. This is abnormal bands of fibrous tissue that can cause pelvis organs and tissues to bind with each other. Endometriosis causes severe pain especially during the period time. Punya Hospitals provides best infertility treatment in Bangalore. The hospital has one of the best laparoscopic gynecologists in Bangalore. The hospital also has a team of best doctors to treat infertility in both male and female.